In the 1980s we published a four-page monthly newsletter with this title whose basic purpose was to publicize the Brickskeller Tasting Series, but contained information about all sorts of beers and breweries. We continue that tradition with these blog posts, with an emphasis on highlighting some of the best of the thousand or so beers we taste each year. 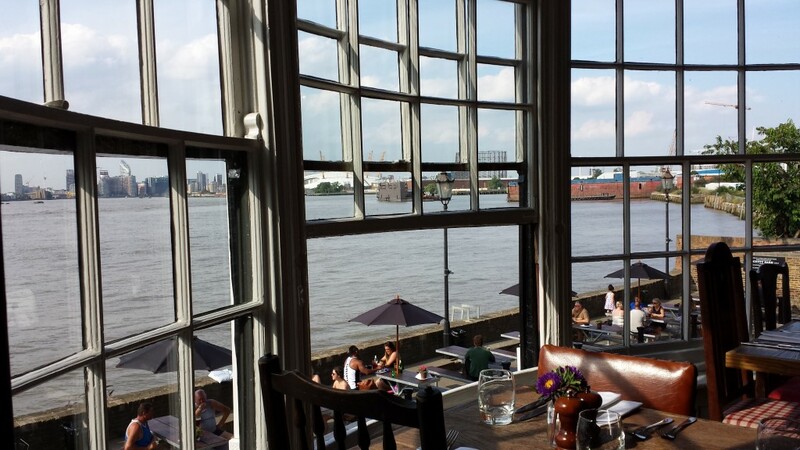 Surprising Wilmington: Three Breweries and a classic hotel. Surprising Wilmington: Three Breweries and a classic hotel. Beers of the Day: April 8 through April 14. Wilmington, Delaware, is the city that is perhaps best known as the urban area you have to avoid on a trip from Washington to Philadelphia. For beer tourists, though, it’s worth a stop. Three breweries, plus a few others on the periphery, give plenty of opportunities for beer hunting and there are fun things to see and do. 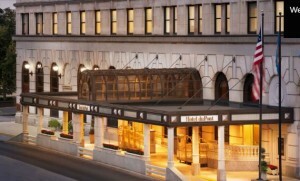 The Hotel DuPont is a 1913 masterpiece. 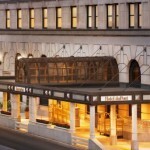 The DuPont Hotel helps make the city a destination. Several breweries tried and failed to change the face of Wilmington breweries during the 90s and early 21st Century. Iron Hill brewery was the first to stick, opening up a branch more than 10 years ago in a waterfront area that also hosts the Wilmington Blue Rocks minor league baseball field. Today a high rise Hyatt so you can catch a game, a few beers and sleep it off without disturbing your car. The City’s newest brewery is located not quite two miles from the city center. It’s a good sized beer hall with a wide range of beers and if the location isn’t very central, it does have plenty of parking. The DuPont Hotel is a gem. Opened in 1913, it is a masterpiece of French and Italian craftsmanship. The theater, a short interior walk from the lobby is a $40 million attraction in its own right and claims the fourth largest stage in the country. From the Dupont Hotel, the industrial-themed Stitch House is a short and safe walk–if you stay on market Street. Menu is above average– prices run a bit over $10 bucks on average, but vary widely in size from massive sandwiches to a more modest pair of scallops. For the next several weeks we’ll feature fun places to explore beer — and much more–a different destination each week. 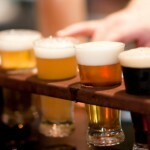 Our beers of the day will feature beers from this wonderfully wet destinations. This week’s beers are from Virginia Beach, Virginia. You can stay on the beach and walk to several of the town’s breweries; other’s will require a ride sharing service. Be warned — while some of these breweries are easily reached by walking or ride share, others are a fair distance from the center and Virginia Beach is, by area, larger than either New Orleans or Philadelphia. 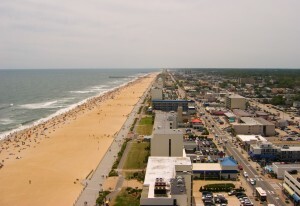 The main attraction of Virginia Beach is, of course, the beach and its three-mile-long boardwalk. The statue of Neptune is iconic. There’s also an aquarium, an historic lighthouse, and a huge pile of trash that has been landscaped into a tourist attraction (Mount Trashmore). We’ve tended to stay at the north end of the beach more or less near 32nd street. There are good bars in addition to the two easily walkable breweries and a number of chains to choose from if you’re using or stockpiling points. A Hilton Garden Inn is a bit more affordable than the full scale Hilton nearby. A Courtyard was one of the best of that brand if you’ve got Marriott status. An impressive buffet breakfast is around the corner from the dreary “Bistro” on weekends and in season. 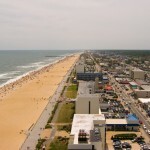 There are many dozens of hotels up and down the beach and reaching up to five miles inland. The number of new hotels dropped like a stone during the Great Recession and recent growth has still left the number of rooms in season well short of demand. Off season is a great time to explore if you can live without an ocean dip. Rates drop like a stone, but most businesses stay open most of the year. A dazzling array of breweries await you if your quest includes all within the massive city limits. We’ll start with three that are walkable from the beach. Home Republic and Smartmouth’s Pilot are an easy walk back from the boardwalk on either side of 32nd Street. Back Bay is a longer walk west on 9th, then continuing as it turns into Norfolk Avenue. The nearly one dozen breweries run from fairly small local favorites to the much more ambitious New Realm which took over the space built for Green Flash’s failed east coast project. 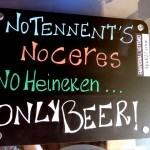 Check out our Beer of the Day feature each day this week for some of our favorites. Well-Aged Beers from our Vault: links to our Beers of the Day stories. In February, we present Beers for your Beer Vault: well aged beers that aged well. Read on for the links to these beers as well as Pennsylvania weekend trips and great beers for the new year. Click on “read more” to find easy links that take you to these beers. February: Beers from our Vault: #12 is Stone Master of Disguise, then scroll down for “more beer reviews” to see the rest of February’s offerings. January featured small town brewery trips. In February we lay down beers for interest or improvement. We started the New Year with a series of big beers for winter. Read on for the links for all these beers and more. The first of the Pennsylvania Brewery weekend finds was here. Scroll back for the others in the series. 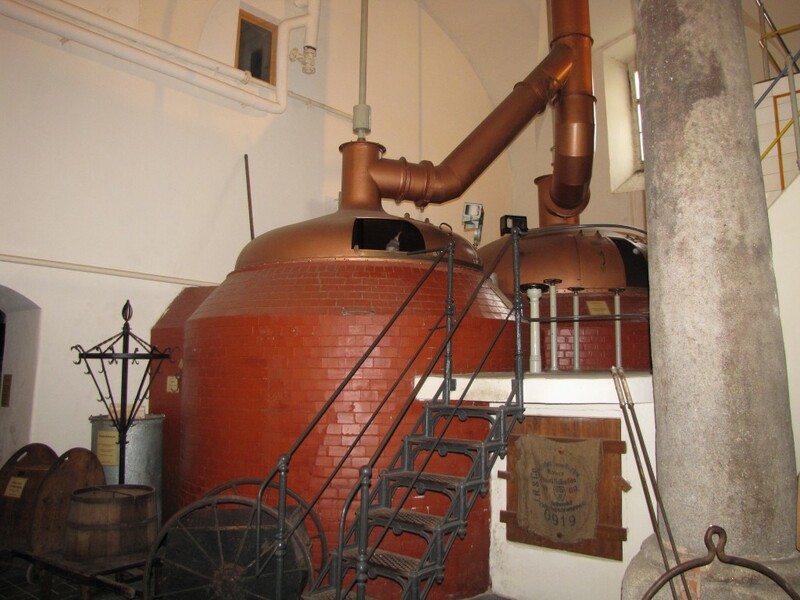 Our aged beers begin here . Scroll up for the others. Find a set of links to Great Beers for the New Year here – scroll down to find the dozen links. 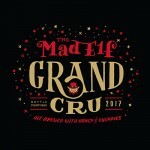 Great Beers for the New Year #2: Tröegs Mad Elf Grand Cru, Tröegs Brewery, Hershey, Pa. If you missed our 12 Beers of Christmas, here are links to them: first, second, third, fourth, fifth, sixth, seventh, eighth, ninth, tenth, eleventh, twelfth. 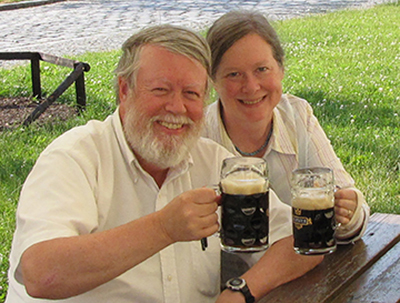 The beers, happily, are well distributed in the Mid-Atlantic region. We found the Grand Cru in a small wine shop in rural Maryland. See more about the brewery here. The Beer— Richer darker and fruitier than its cousin, this beer even manages to surpass the success of the more easily available (and more easily afforded) Mad Elf. Value — Good to very good. Any beer this good under $20 a bottle is a pretty good deal these days. Values: “fair” is a good beer at an above market price, “good” is worth the money, “very good” is a bargain, and “excellent” is a steal. Since the beers are unique, they receive unique numbers. You can’t find the #136 anymore–the brewery is well past batch 500 now– but you can find a newer Bøgedal that will be just as good. The Beer— Soft herbal deep roast, spices, anise, bakers’ chocolate, It’s vinous, orange and musty late. Nicely complex, it ranked among our top Christmas beers. Value — Good. The 75 cl bottles don’t come cheap, but you won’t have to refinance your car either. It’s The Season!! Through January 6th (Twelfth Night) we’ll give your this year’s list of the Twelve Beers of Christmas. We’ve tasted close to 200 beers brewed for the season; they’re not all good elves, but a great many are as talented as Rudolph for getting us through a foggy winter’s night. We know, we promised a count down to the New Year with descriptions of some of our favorite beers from the last five years. 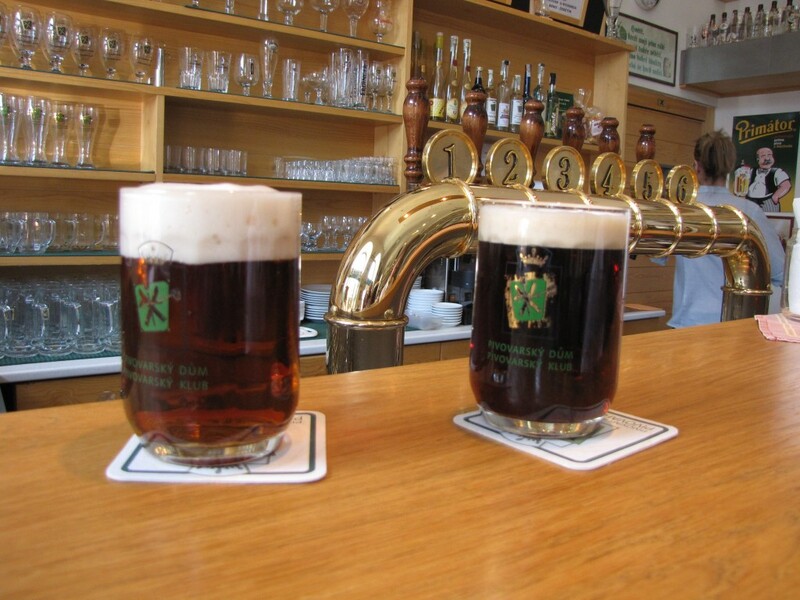 In those years we’ve published Drinking in the Culture, and gotten a good start on a drinking/sleeping guide to the Mid Atlantic and a guide to great beers is supposed “bad beer cities” — the tourist meccas of Europe. But goodness, Grinch, what about all the holiday beers?? So we’ll detour and pick up the top ten list in the new year.